This awesome senior was part of the cross-country and track and field teams at Linn-Mar High School for all four years. 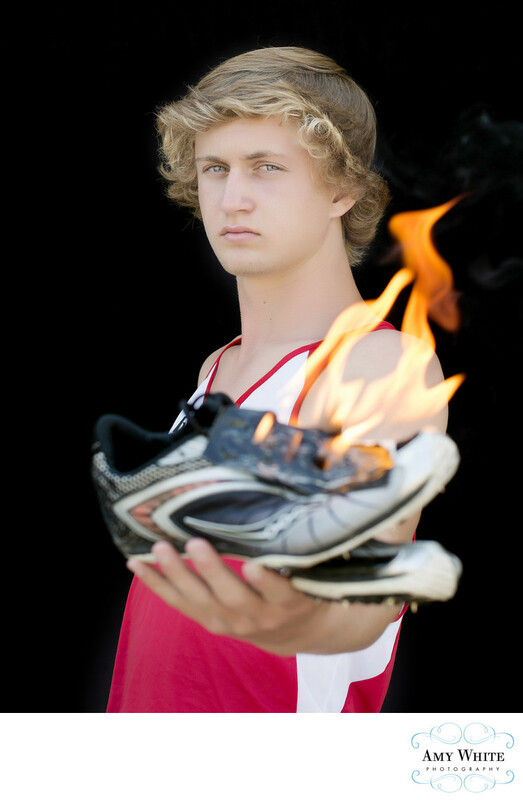 So, after one of his photo sessions, we went outside and lit his cross-country shoes on fire! No photo-shopping for us--that's real fire.